Was This Melbourne Apartment Shooting Preventable? 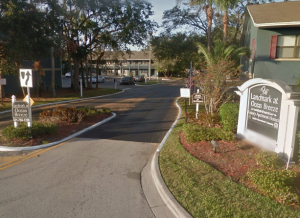 A robbery home invasion at the Landmark Ocean Breeze apartment complex in Melbourne reportedly left two people injured late Monday, May 1, 2017. According to KPRC News, “[t]he armed robbery took place about 10:45 p.m. at the Landmark Ocean Breeze apartment complex at 3151 S. Babcock Street.” The media report indicates “several armed men” followed a group into an apartment and “terrorized the occupants.” One victim was shot and another pistol-whipped during the struggle. Their current conditions have not been released. The apartment complex was apparently the subject of a prior shooting investigation in August 2016, per Brevard Times reports. Did negligent security contribute to this violent Melbourne apartment robbery? We represent individuals and families who have suffered a tragic loss or injury as a consequence of negligent property security. Read Our Legal Take below to find out if the victim may have a legal avenue for justice and claims for substantial compensation in Florida, or call now for a free consultation with our legal team: 888.842.1616. How did the intruders gain entry to the complex? What access controls, such as guest screenings, gated entry, surveillance cameras, and security patrols, were in place to deter crime and protect residents at the time of the shooting?